The Lakes Regional Park Pumpkin Patch by Wheel Fun Rentals is the place to go for fall fun! Enjoy fun rides, games, pumpkins, music, and more! 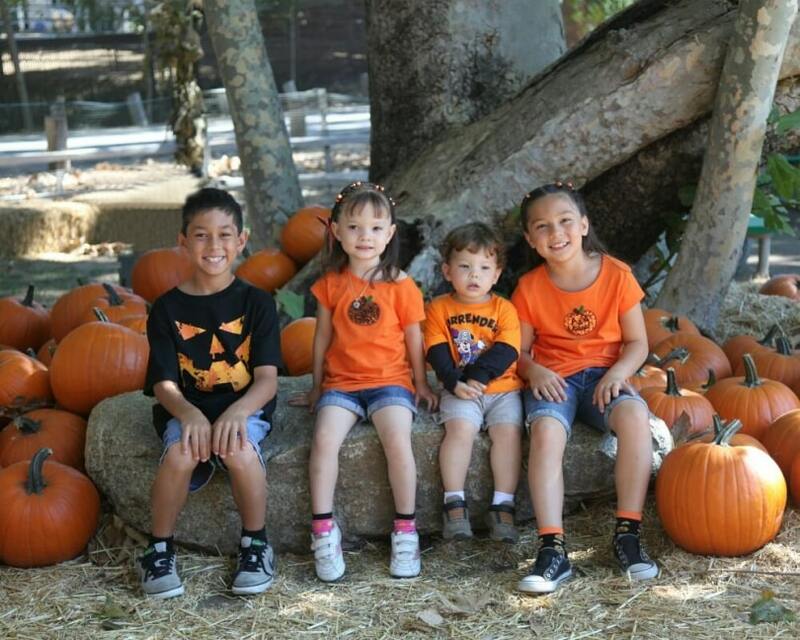 The Pumpkin Patch is the perfect fall activity to enjoy with the entire family! 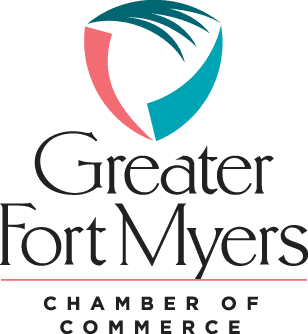 Get ready for best nonstop fall fun in Fort Myers! You’ll be able to pick out the perfect pumpkin, enjoy a ride on a Surrey, play some games, and end the day with a sweet snack! Entrance to the pumpkin patch is free! Activity pricing ranges from $3 – $9. Please note, there is an additional charge for parking. are perfect for the whole family! You’ll arrive to find a field filled with an amazing array of vibrant farm grown pumpkins. With so many sizes and shapes, you’ll be able to walk through rows and rows of premium pumpkins looking for that perfect one. This year’s jack-o-lantern will be the best yet! So, you’ve just found that one perfect pumpkin. What’s next? 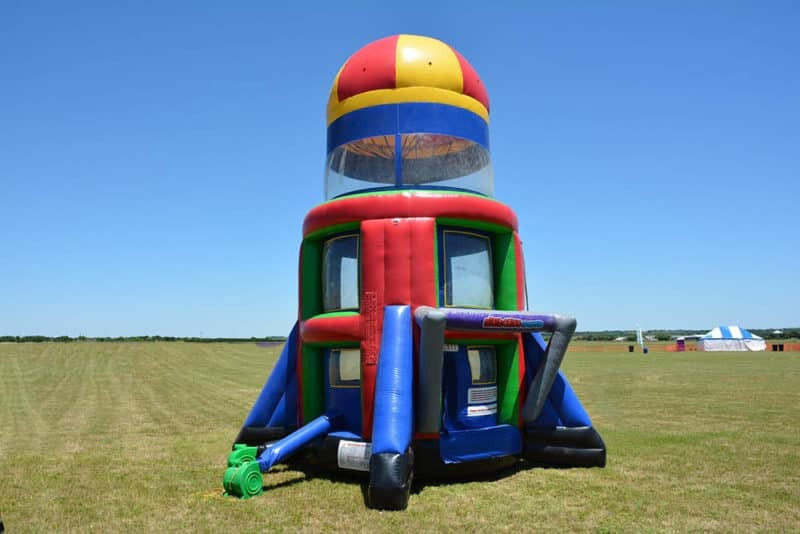 Kids will jump to their heart’s content in the bounce house! It’s the perfect place for the kids to get airborne and have some fun exercise! 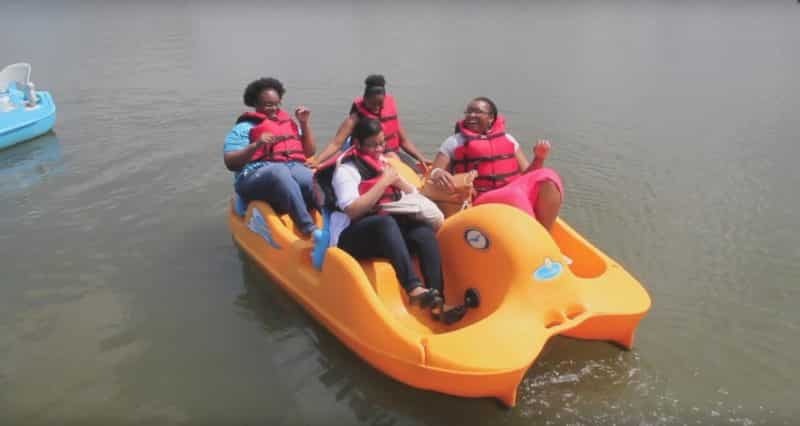 Pile onto the tractor-trailer and delight on our Lakes Regional Park hayride! 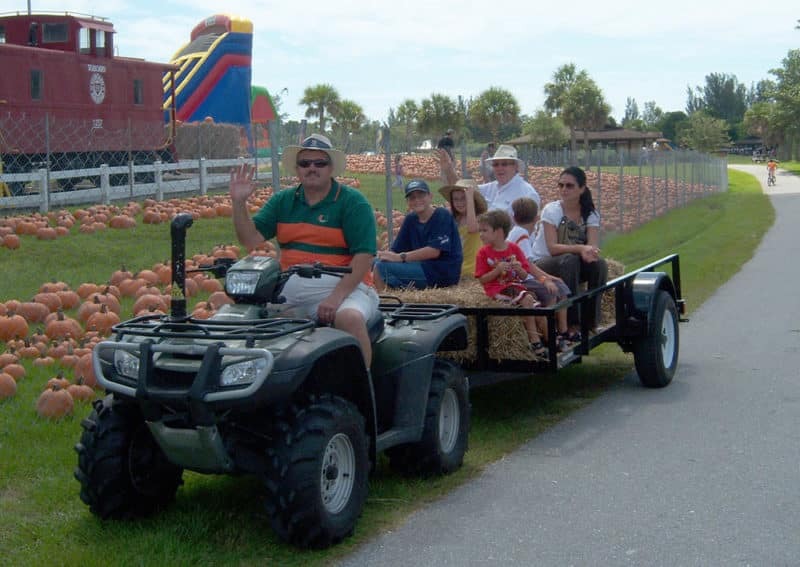 This family-friendly Halloween hayride will take a leisurely route around the Fort Myers’ pumpkin patch! ALL ABOARD! Step right up to the Halloween Express Train ride, only at Wheel Fun Rentals at Lakes Regional Park! This enchanting train experience passes by lakes, rides through a tunnel, crosses by mini villages and a waterfall, and even goes over a bridge! It’s a rolling adventure you and the kids won’t forget! For train hours and more info, call (239) 267-1905. Standing a whopping 22ft tall, our super slide will give you and your family a bird’s eye view of the pumpkin patch festivities. Kids will love climbing up and sliding down this scarily high slide! 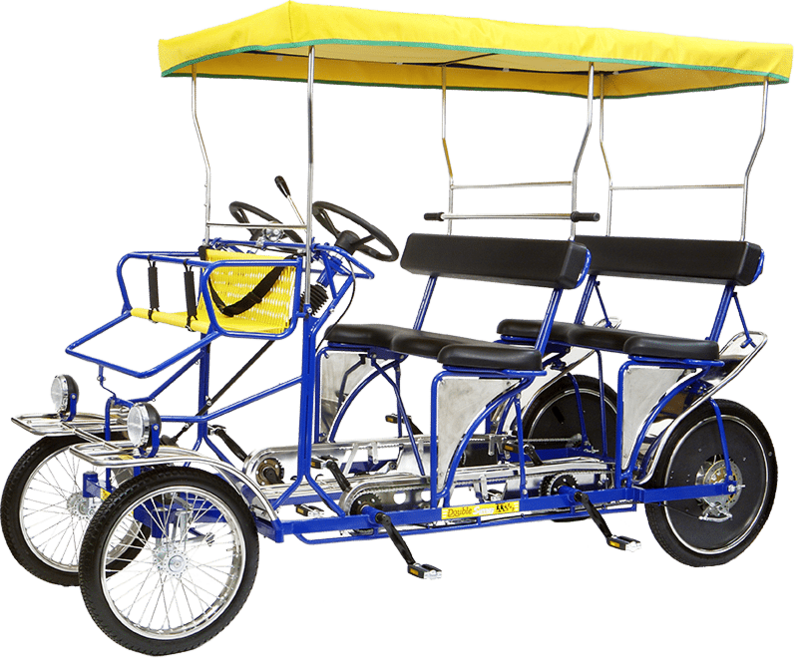 Pedaling through Lakes Regional Park’s trails or around the lake on a Surrey! Feeling Lucky? Test your skill at least one of our many Halloween themed games! There’s a fun wholesome game for everyone in your group – games like pumpkin bowling, ring toss, and carnival games are perfect for kids, adults, and families! Get lost in our creepily fun haunted maze! If you’re not in the mood to be scared, make your way to the Airborne Adventure! Guests will be lifted into the air at this incredibly fun activity! Check it out! With all the fun you’ll have at the pumpkin patch, it’s no wonder you’ll work up an appetite! 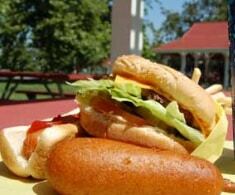 Make sure to take a look at our delicious food options!